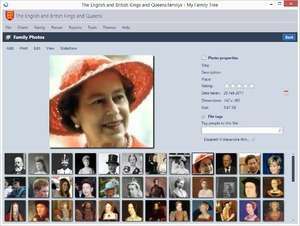 My Family Tree is a small but powerful application that allows you to create, import and edit family trees in a visually stunning display. My Family Tree can add detailed information, stories, photos and other attachments for family members then export the tree and show it off to friends and family. Version 8.7.3.0 is a freeware program which does not have restrictions and it's free so it doesn't cost anything. For security reasons, you should also check out the My Family Tree download at LO4D.com which includes virus and malware tests. Additional screenshots of this application download may be available, too.